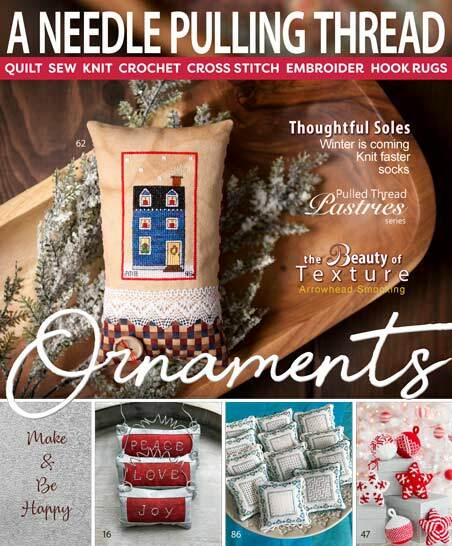 Just in time for merry-making comes our Ornaments Issue! 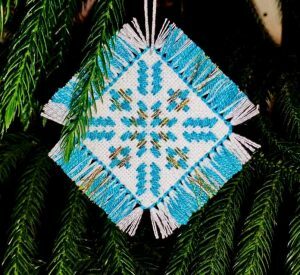 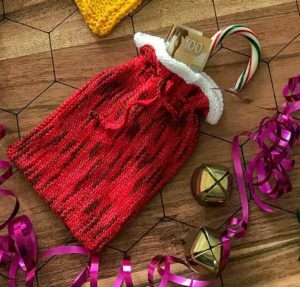 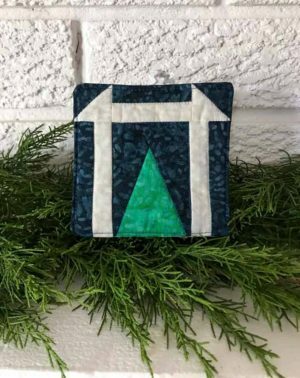 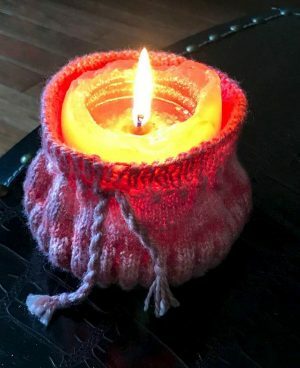 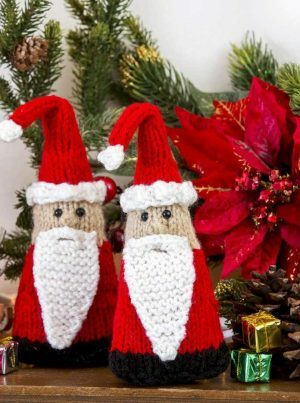 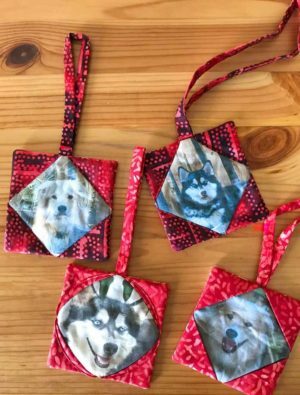 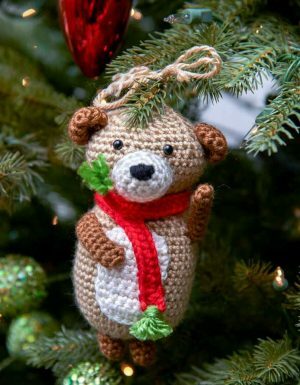 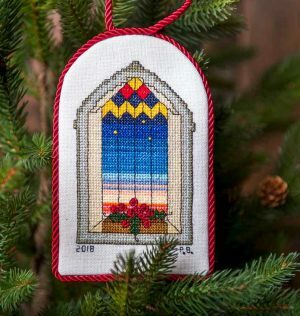 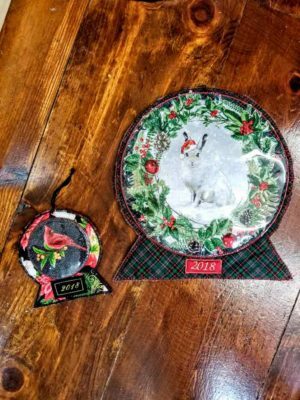 All ornaments are a great way to learn techniques, use up our leftover fabrics, yarn and threads, and are fantastic for making last minute little commemorative gifts. 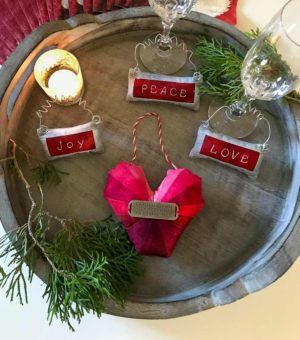 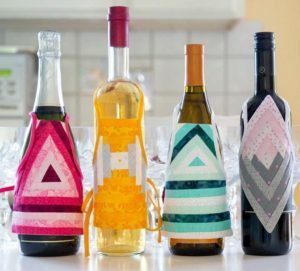 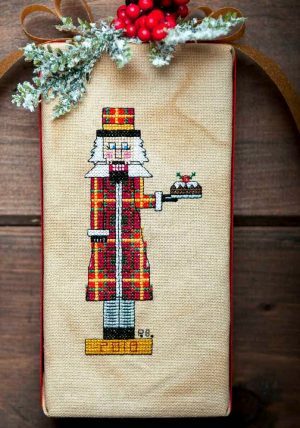 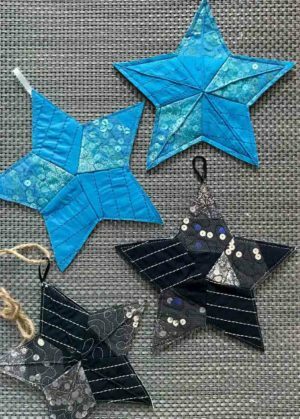 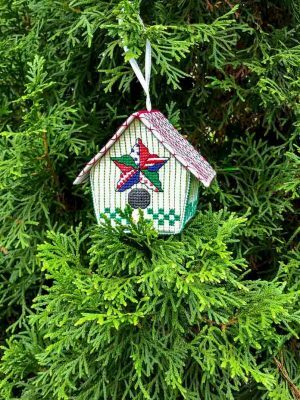 They are also great for mixing and matching the techniques from one ornament to another – this is quite an adventure! 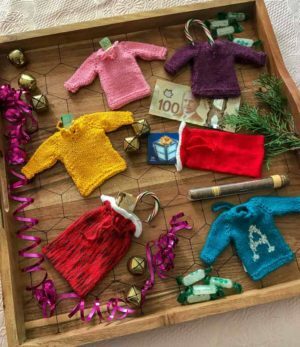 Warning: all ornaments can become an addiction, as it can be difficult to stop at making just one when you find your favourite. 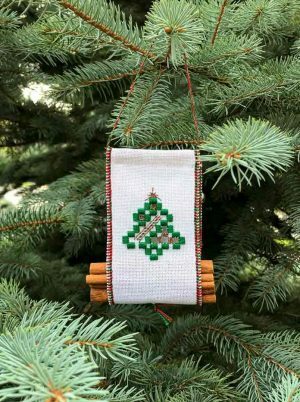 Also in this issue, is Part 3 of Judith Marquis’s, exploring Arrowhead Smocking and all of its possibilities! 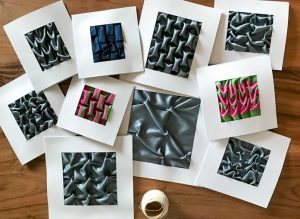 And check out the new series in pulled thread work, Pulled Thread Pastries. 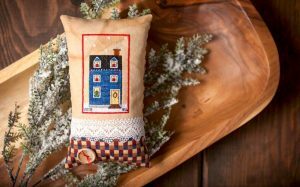 This is a series meant as a learning tool to learn pulled thread work, but see these adorable cushions! 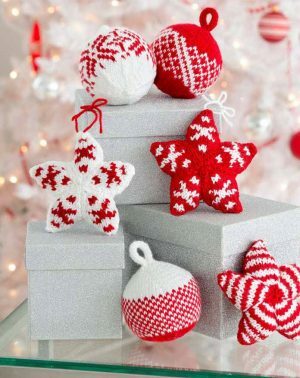 They look like pastries, but they also work well as ornaments. 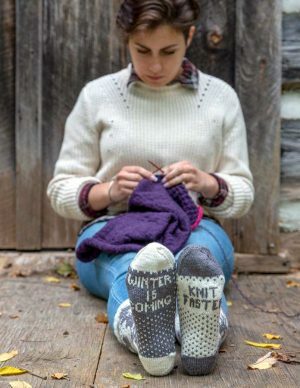 Plus, what will you do with the pulled thread patterns? 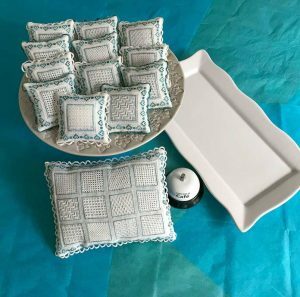 See what we have to say about taking a trip with Eat Your Heart Out Tours as we travel to the Kutch Desert region to experience a vibrant textile way of life!